Our favorite raccoon thief is at it again. 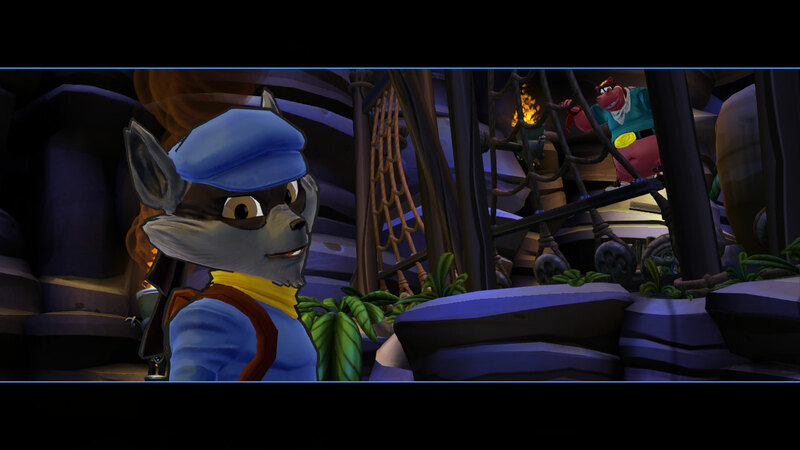 After having spent almost a decade in hiatus, Sly Cooper, alongside his friends, is back for more sneaky stealing, crazy platforming and colorful graphics . With its PS3 debut and new developer Sanzaru Games, it has a lot to show for itself. Did the break do good or has the train left our oldie on the station? 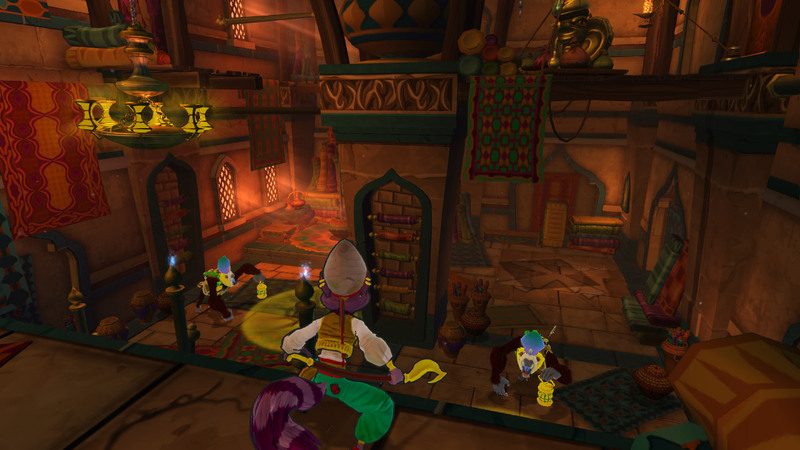 Thieves in Time picks right up where Sly 3 left off. The gang has dispensed as Sly faked amnesia to his love interest, Carmelita. As they live their life happily as a couple, Sly grows tired of this somewhat boring life. He needs the excitement of a heist. And when Bentley discovers that pages from Sly’s family legacy, the Thievius Raccoonus, are slowly disappearing, thus erasing his ancestors’ achievements and tips for future generations, Sly doesn’t think long before getting back into the game. With the help of tech-wiz Bentley and the muscle powerhouse, Murray, alongside new companions, they must now travel back in time to find out who is responsible for the disappearing of the pages, how they managed to do it and, most importantly, why? The story is very straightforward. From the Paris epilogue you go straight to the past, explore your surroundings, meet your ancestor, scout the area for the big heist that eventually leads to the boss fight of that era. Beat the boss, then it’s rinse and repeat. It’s sounds blank and that it is. The game tries to spice things up a bit with a lot of different kinds of minigames, but only a couple of them are memorable missions that do something completely different than the rest eg. a Rocky homage in one era was particularly great. The eras are not short, but they aren’t long either, but I guess this is due to the game’s lower price point. First thing you will notice playing Thieves in Time is how beautiful the game looks. The cel-shading graphics the series is known for have been updated and the result is amazing. The colors are rich, the environments look stunning and the character models still look goofy and over exaggerated, yet in a good way. It is classic Sly, but in crisp HD. It’s also welcomed to see forests and snowy mountains instead of the grey cityscape that we’re all used to. This game HAS color and I love that. And the sound with its comic book “BOOM” and “KA-BLAM” effects and great voice acting between the characters will make you smile. 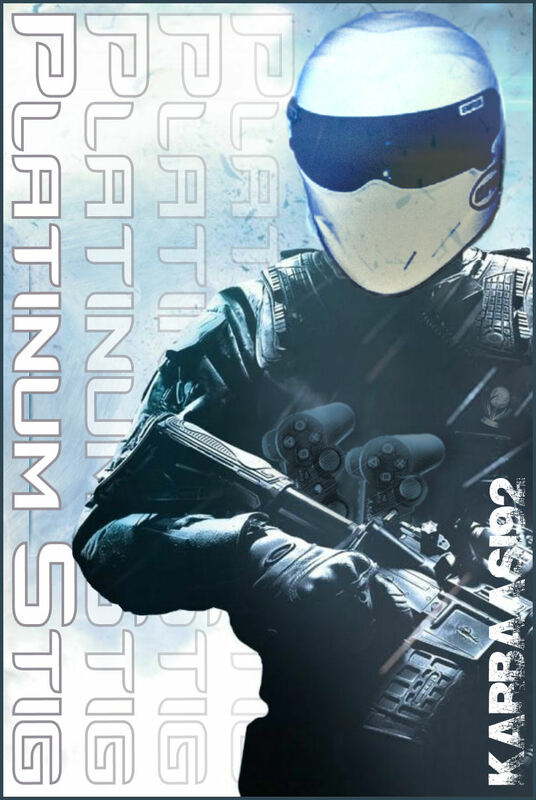 Gameplay hasn’t changed much in the years. 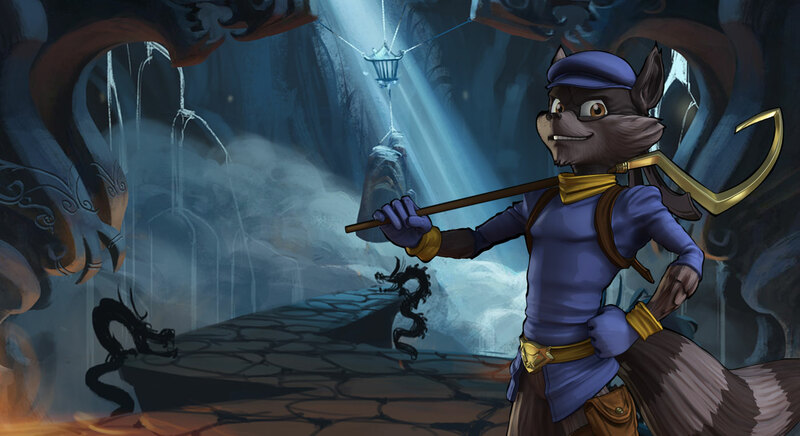 Sly is still a platformer with stealth elements. 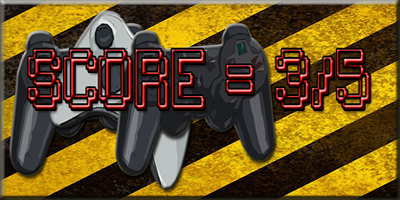 Most of the time you will jump, climb, fight bad guys and evade traps. You can climb or latch onto almost anything with the press of the circle button, if it has a blue spark indicating it can be done. When you’re running and jumping from one pole to another and landing every jump perfectly, it feels great. The game is just fun to play. Rarely, it doesn’t understand what you’re trying to pull off and it will let you fall to your demise or latch onto the wrong object you didn’t intend to, but for the most part, it works well. The big draw in Thieves in Time is Sly’s ancestors. As mentioned before, you will travel through different time periods from the medieval era and the wild west even to the prehistoric era. Each era has its own ancestor, who plays a bit differently than Sly with their own skill sets and special powers, that need to be used sometime for puzzles located in the eras. The ancestors are for the most part fun to play as with witty dialog, but their use falls flat. You use them only a couple of times in very designated places. I would have liked to have them implemented into the story more. Now it just seems like lost potential. You can also explore in the hub-worlds freely collecting hint bottles, that’ll open a hidden safe with a special power or go out finding various treasures that will unlock small minigames in the hideout. The collecting against the clock is fun for a while, but it becomes repetitive and boring very fast, and with the minigames they unlock being mediocre at best, there’s really no incentive to do the scavenging. You can also play Thieves in Time with your PS Vita thanks to its Cross-save/play ability. You can save your game progress to the cloud either on PS3 or PS Vita and then resume playing from either one after downloading the saved data from the cloud. It works flawlessly. It gives the Vita’s game library some variety with a platformer, but if you have the chance to play the game, prefer the PS3. It plays the same, but it runs smoother and, of course, looks better with higher textures and more vibrant colors. And some of the Vita’s touchscreen implementations don’t work well. It’s still a game worth checking out on the Vita, though. 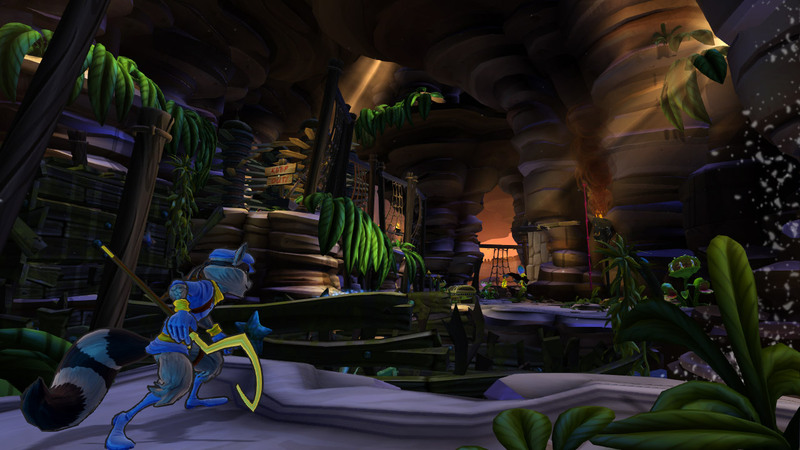 Is Sly Cooper: Thieves in Time worth the wait? It’s a platformer true to its roots and that might fend off some people that are used to the more automated games today, but fans of the series will definitely have a fun time with it. The game leaves us with a cliffhanger and I hope Sanzaru will make a sequel, now having learned from their first try and bring us Sly back, now with a bang… and hopefully it won’t take as long this time.